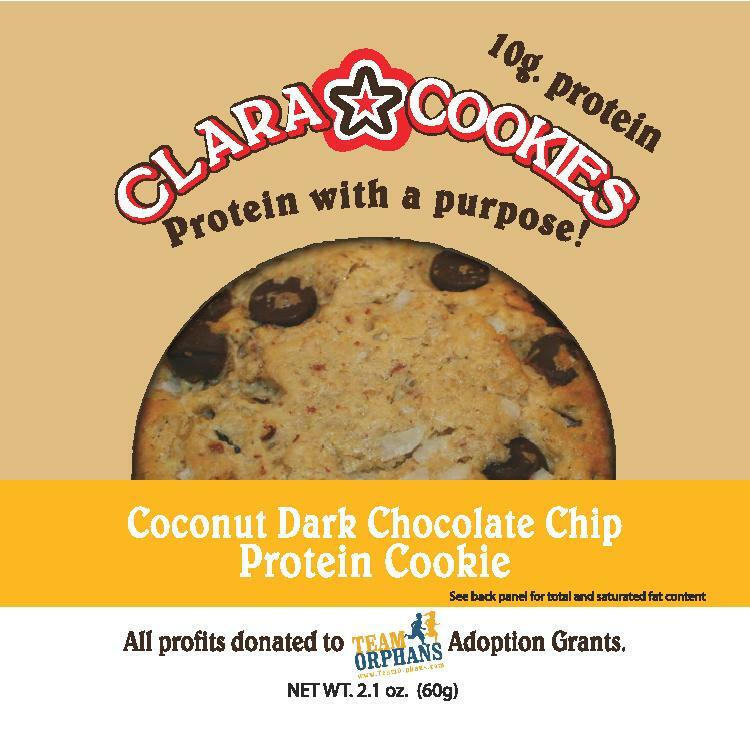 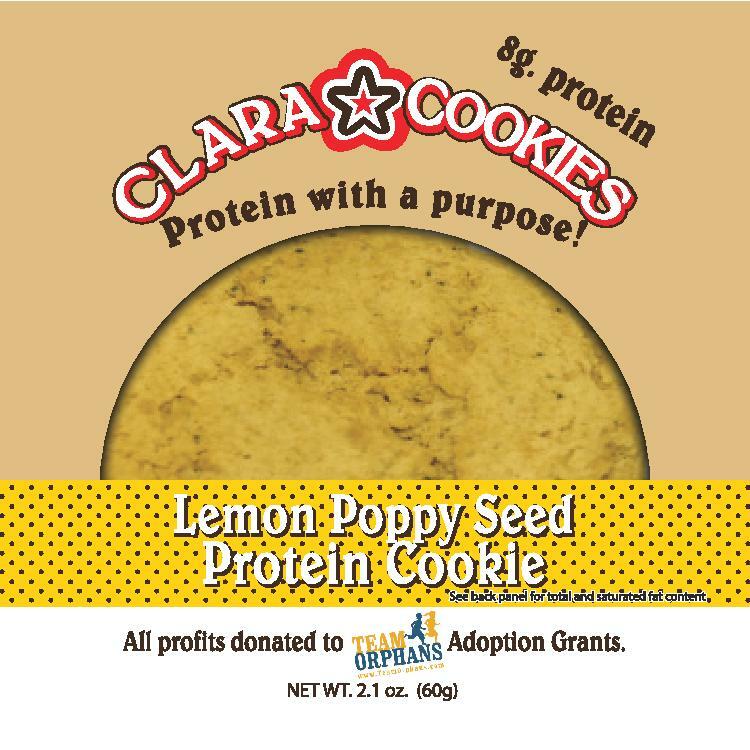 Clara Cookies - Clara Cookies | Protein cookies for adoption. 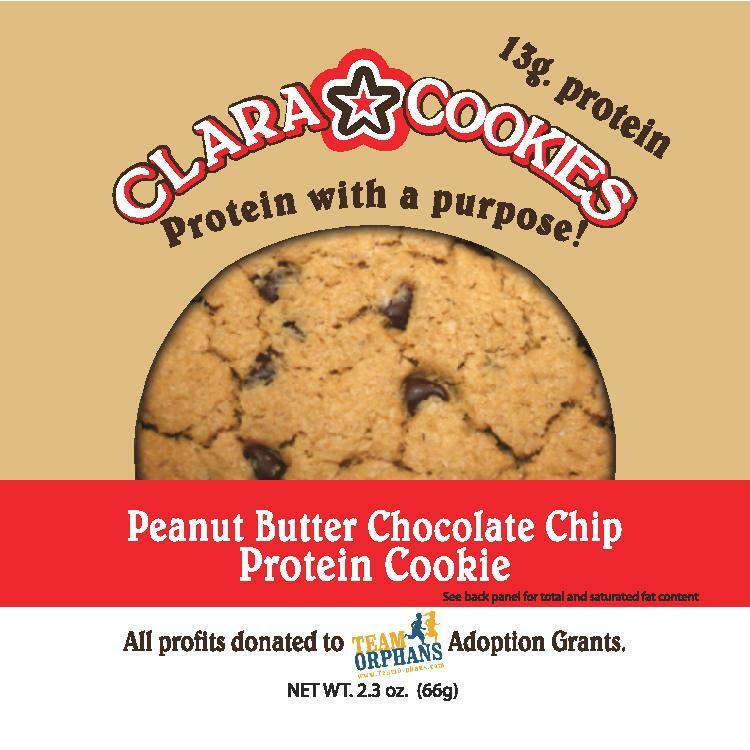 ​or snack, we have delicious protein cookies for YOU. 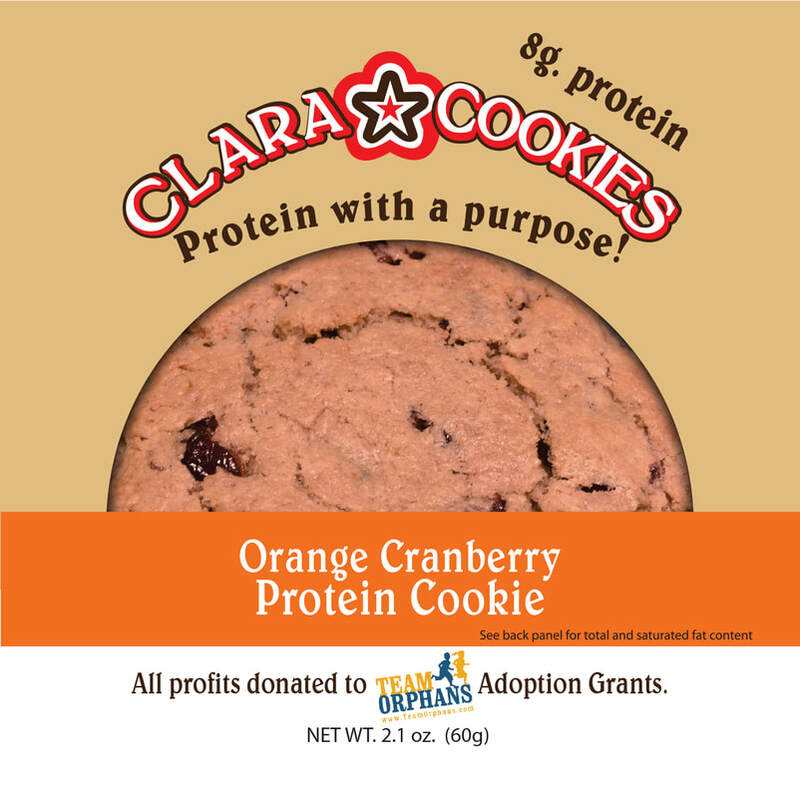 Peanut Butter Chocolate Chip, Coconut Chocolate Chip, Orange Cranberry and Snickerdoodle. 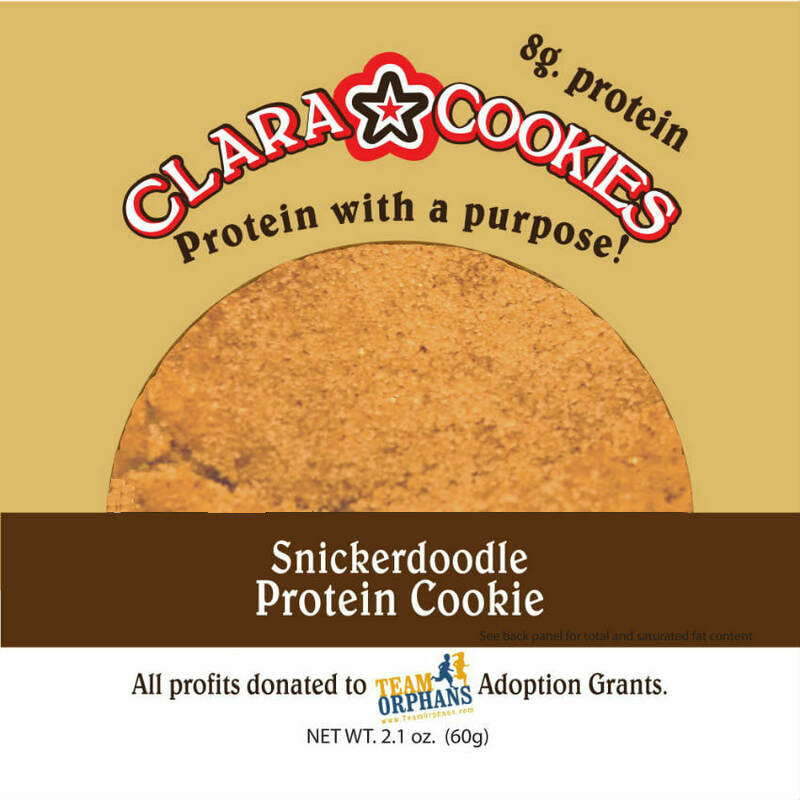 Vegan Peanut Butter, Coconut Chocolate Chip, Orange Cranberry or Snickerdoodle also available. 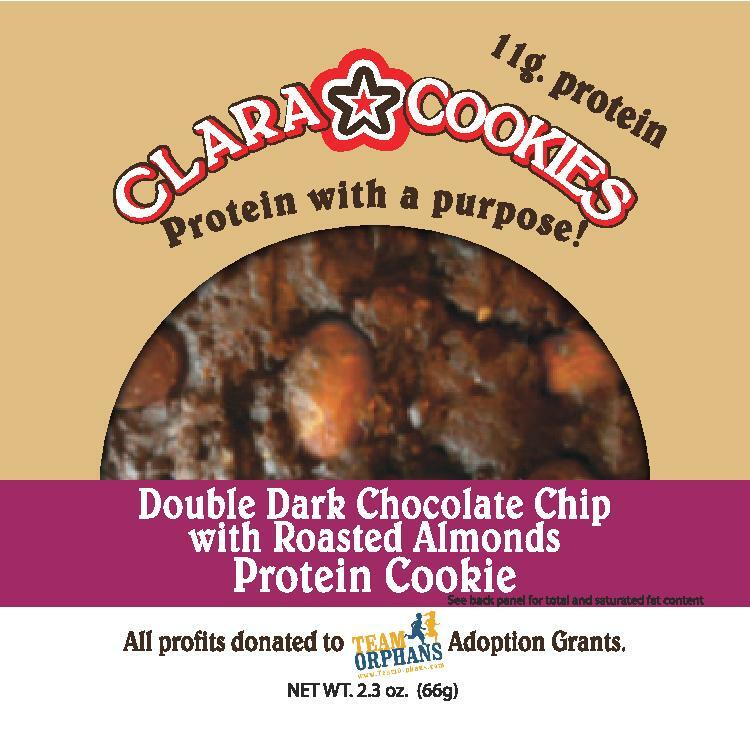 ​Clara was provided a Team Orphans adoption grant and is now home, loved and adored by her family. 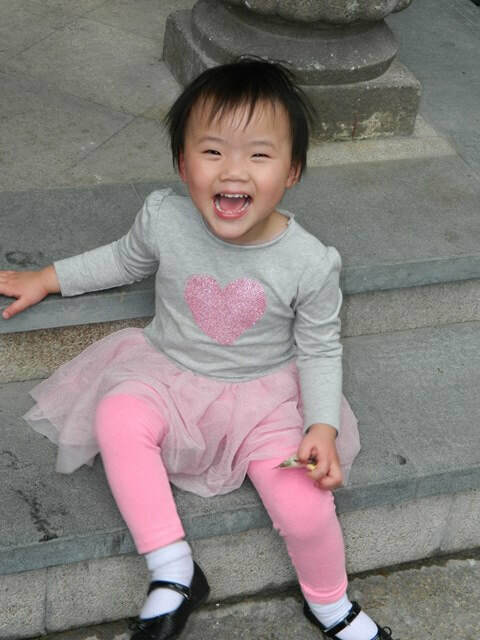 Clara, along with 776 additional kids with special needs, now have forever families whose love will nurture and guide them for the rest of their lives. 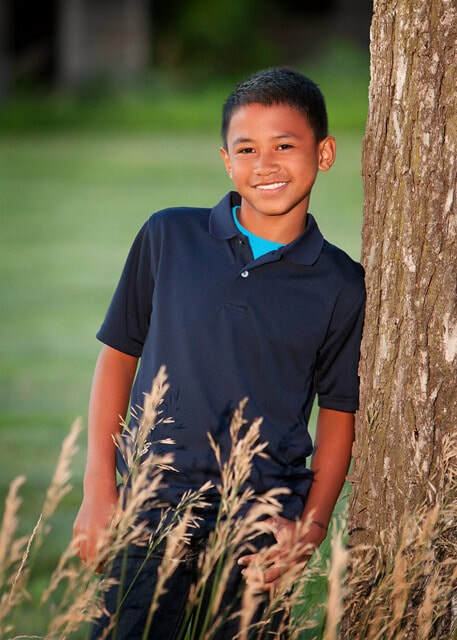 These are only a few kids who now have forever homes thanks to Team Orphans.